2010: The Year of the Nat! What has become a theme of this blog, it’s been a while since my last post. No, I’m not lazy, I’m just really busy! I’ll give you a quick update on a few of the fun and exciting adventures I’ve been on recently and then let you know what I expect to see in 2010.
participate in Jumpstart’s 2009 Read for the Record Campaign. The goal was to set the record for the largest one-day shared reading experience ever. The children and I all read The Hungry Caterpillar and then played all sorts of games on the field. Hundreds of wild and crazy kids left me exhausted, but what a great time! I also helped out at our annual Step Out for Diabetes Walk and Potomac Day in Maryland. John Lannan, Craig Stammen and I all read to the children staying at the Children’s Inn at NIH. After that, it was Halloween party time! The rest of my time since my last post consisted of a bunch of birthday visits, turkey deliveries, Christmas parties and hanging out with my buddies George, Tom, Abe and Teddy! Tomorrow I’m looking forward to showing off my basketball skills again during halftime of the University of Maryland’s women’s game where a bunch of local, less-talented mascots will square off. This is a halftime I suggest you don’t miss, because I have MVP on my mind! Remember last year’s Mascot March Madness from FOX? Yeah, I definitely won that! 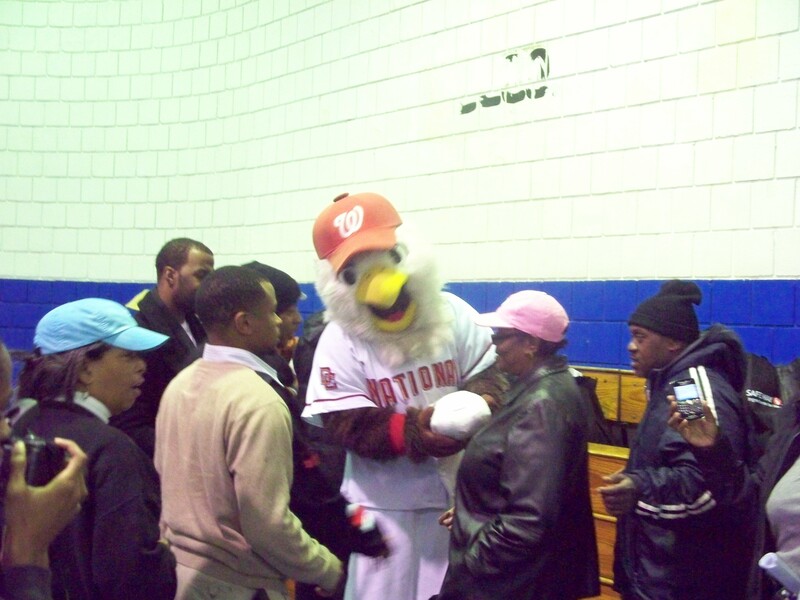 I’m also really excited for our Winter Caravan coming up January 27th through the 30th with Natsfest on January 31st. I’ll be reunited with all my Nats fans along with a bunch of players that I have desperately missed this offseason. It will be exciting to make stops in Maryland, Virginia and the District that we never have before. 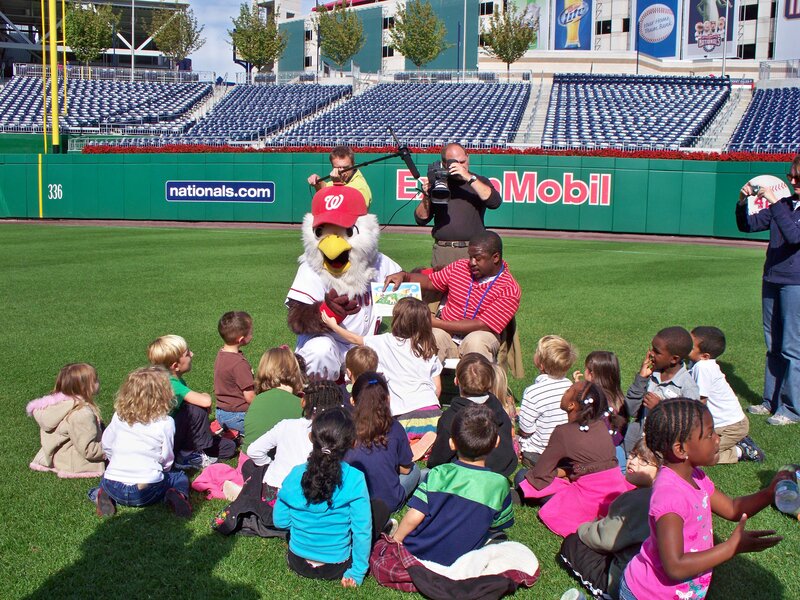 The week of fun will all culminate at Natsfest on Sunday, January 31st here at the park. There will be autographs, games, and dancing (by me of course) all around! WHO’S READY FOR BASEBALL TO START AGAIN?!?! Thanks for reading NatsTown. I’ll be trying to blog a lot more from now on!